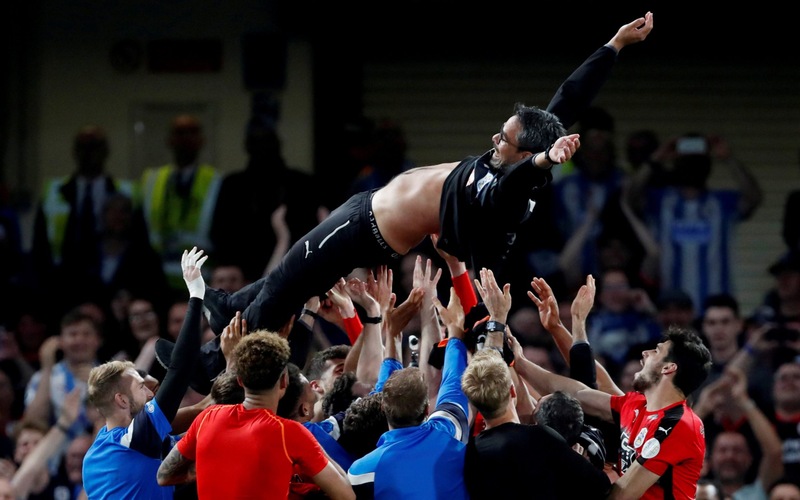 This time last year, a Wednesday night in May saw David Wagner’s Terriers secure their place at Wembley for a play-off final – a one-game shoot-out to reach the Premier League. A year on, a far more difficult task awaited Wagner and co, as Town travelled to Stamford Bridge on a Wednesday night in May, knowing a single point would secure Premier League status for a second season. David Wagner adopted the same formation that secured Town a precious point at Manchester City, but changes were made to get some fresh legs into the team. Hadergjonaj, Mounie and Pritchard made way for Billing, Van La Parra and Depoitre. Although it was the same shape as the one at the Etihad, we didn’t press Chelsea with the same intensity, and we largely invited Chelsea on from minute one. After a difficult opening quarter, Town began to show some sort of attacking threat, and put passes together. Towards the end of the first half, Town were hanging on, but survived the Chelsea onslaught. What happened after half time was nothing short of unbelievable. Having said that, we should know better, as David Wagner seems to make the impossible possible on a regular. In the 50th minute, Town won the ball from Chelsea, and the creative Mooy found Depoitre with a long ball, and he out-battled the goalkeeper before calmly placing the ball into the net. A small section of Stamford Bridge erupted, as Town led on their biggest day. If it wasn’t backs-to-the-wall already, it definitely was now. Chelsea now became a constant, endless wave of blue shirts coming towards the Town goal. But Lossl, and Town held firm. That was, until, Zanka heroically cleared another dangerous cross, just for it to cannon off the face of Alonso into the helpless Lossl’s net. This gave Town 28 minutes plus a further six of added time to hang onto that precious point that would keep them in the league. They somehow did it, despite Chelsea throwing everything they had at it. And in all honesty, we have Jonas Lossl to thank, as he produced one of the greatest saves in the history of our football club. Going the other way, the Dane somehow tipped a header onto the post following a goalmouth scramble. Aside from that, Town saw the game out despite endless pressure, and we accomplished the impossible yet again. This season has been a brilliant spectacle for all involved with Huddersfield Town, and it is one that will be remembered forever. From where we have come since David Wagner’s arrival, this really is dreamland, and more players in the blue and white have made themselves legends. The importance of this survival cannot be underestimated, as it means financially we are much stronger, we can now attract a higher quality of player, Wagner is much more likely to sign a new contract, and it is a case of improving for next season.